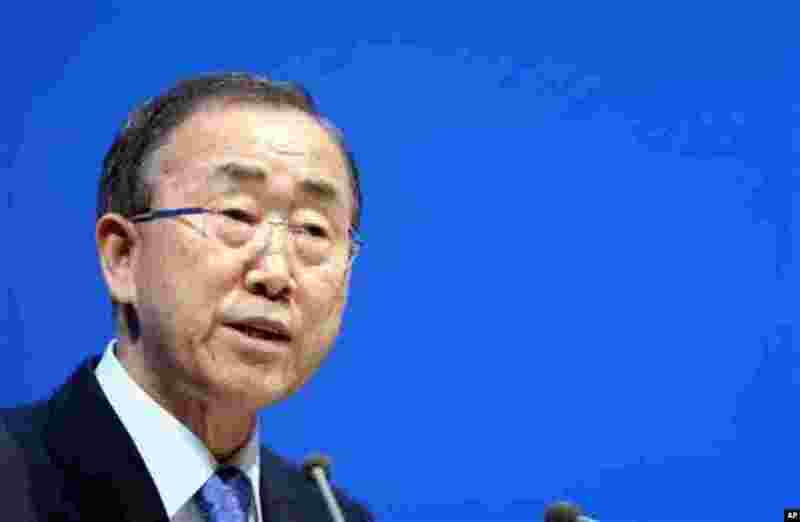 U.N. Secretary-General Ban Ki-moon has urged governments to speed up slow-moving talks to forge a joint response to global warming and warned that climate change was an "existential challenge for the whole human race. 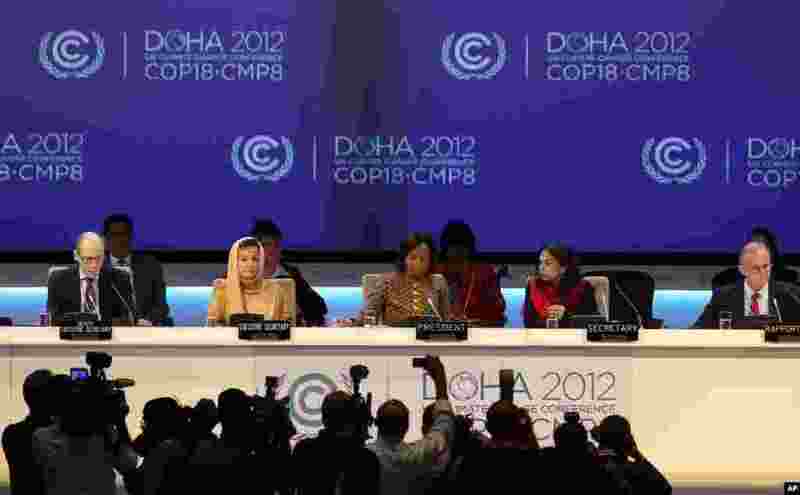 3 Christiana Figueres, Executive Secretary of the United Nations Framework Convention on Climate Change, speaks at the opening session of the United Nations Climate Change Conference in Doha, Qatar, November 26, 2012. 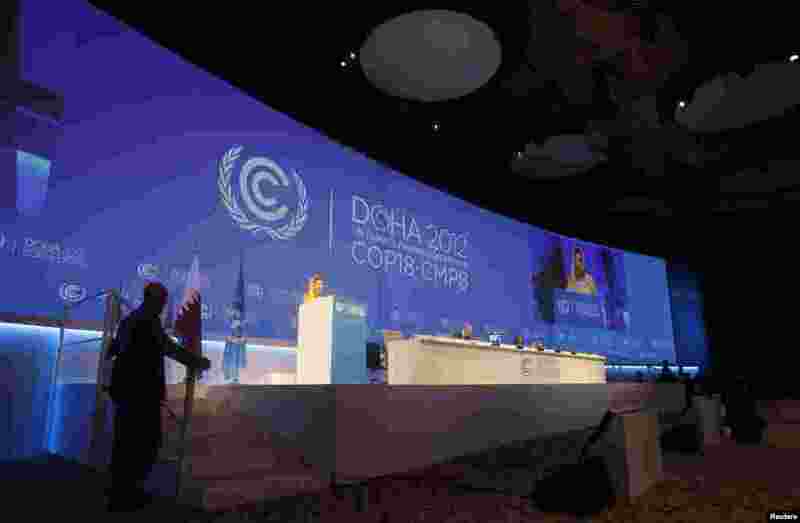 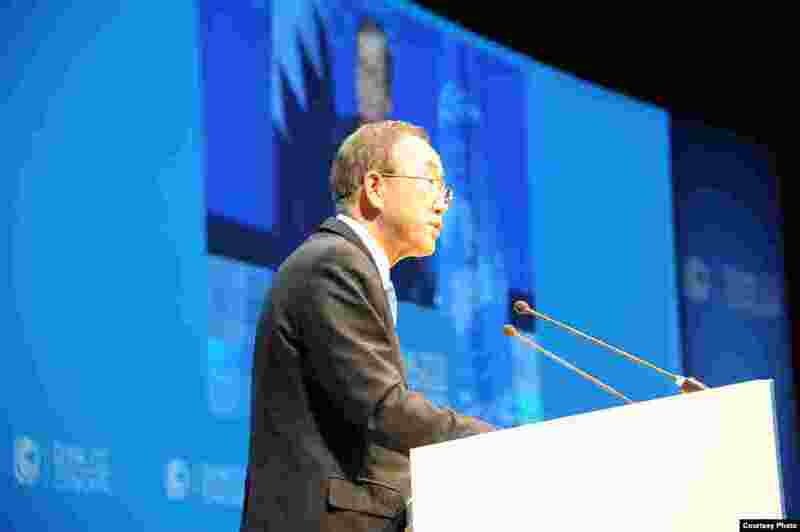 4 United Nations Secretary General Ban Ki-moon called on delegates at the United Nations Conference on Climate Change in Doha to speed up their work on an agreement to address a warming planet.